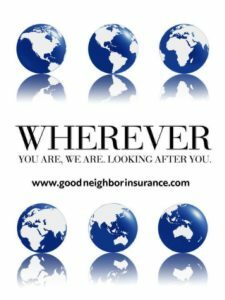 Good Neighbor Insurance (dev.gninsurance.com and www.gninsurance.com) is continuing to update our clients on the new health insurance laws. There are six major coverage options for those in the US and even though some of the rules and regulations are similar for all many differences are there and it all depends on how old you are and for whom you work. Many critical details of this new insurance law will be clarified in the months and years to come. (6) Full government health plans like Medicaid, CHIP, TRICARE, VA and other coverage plans as may be designated by the Department of Health and Human Services based mostly on financial criteria and/or military service. On December 1, 2010, the Department of Health and Human Services (HHS) published an Interim Final Rule implementing medical loss ratio (MLR) requirements pursuant to the Affordable Care Act (ACA). Beginning in 2011, these regulations would: impose a medical loss ratio of 80 percent on individual and small group plans, and 85 percent on large group plans, meaning that insurers are required to spend 80-85 percent of each premium dollar on claims and other government-approved activities. MLR standards would be measured on a state-by-state basis. Insurance carriers, in general, are concerned that a minimum MLR will have the counterproductive effect of raising premiums for consumers and causing unintended market disruptions. The federal MLR regulation will penalize investment in fraud prevention, utilization management, and development of connectivity or administrative simplification systems. It also will hinder the development of more affordable insurance options, such as high-deductible health plans. Moreover, the new MLR rules will reduce competition in both the individual and large group market. All of these issues could lead to higher premiums for consumers. The MLR also may result in fewer product choices. The creation of an unlevel playing field that favors HMOs over plans that offer open access to providers may drive the market towards closed networks – the opposite of the product selected by the majority of consumers. Further, the implementation costs of the MLR regulation itself will be significant, especially with respect to mandatory data collection and reporting, not only of an insurer’s own data, but also extensive new information to be collected from employers, vendors, and providers (none of which, incidentally, have significant inducement to facilitate such data collection). 1) Rebates should be provided to employers: Rebate administration should be simplified to provide greater clarity to employers and to insurers. In group markets, where the insurer contracts with an employer, the insurer generally does not have access to enrollee information specific enough to permit accurate rebate payments directly to the enrollee. In such cases, rebate payments should be permitted to the employer. Alternatively, insurers should be permitted to apply a good faith effort standard in calculating individual enrollee rebate amounts. 2) Small employer should be defined as 1-100 employees for MLR: The conforming amendments to ACA clearly require a small employer definition of 1-100. These provisions do not provide flexibility for states to have lower definitions. If HHS continues to allow states to define employer as 1-50, states should be required to provide 12 months advance notice before such definition could go into effect. Otherwise, states could modify the employer definition after rates already have been filed and products have been sold. And finally, the state where the headquarters of the employer is located should determine whether the employer is small or large in all states. Otherwise, employees of the same employer could alternatively find themselves located in both a small and large employer. 3) Employee counts should be based on “eligible” employees. The IFR does not address how an employer or insurer calculates the number of employees for purposes of determining group size in the MLR context. For consistent application, the regulation should clarify that group size is to be determined by measuring the number of employees who are eligible for plan benefits, which would track most consistently with the predominant current practice and with the standard in most states. Insurers do not have total employee information and have been unsuccessful in collecting this in the past. 4) The special adjustments for limited benefit (‘mini-med’) and expatriate plans should be continued beyond 2011. 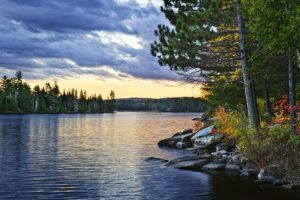 The unique characteristics of these kinds of plans will continue to pose MLR reporting and calculation challenges beyond the current one-year adjusted application period. Uncertainty about future MLR applications may hurt employer decisions in this area. Therefore, an announced extension of this treatment would be helpful. 5) ICD-10 expenses should be included as “quality improvement activities.” Conversion to ICD-10 will improve quality in numerous ways, including enhanced clinical research and improved disease management. Therefore, implementation costs associated with ICD-10 should be classified as a “quality improvement activity” with respect to MLR calculation. 6) Vendors should be required to report administrative expenses in the aggregate. Rather than requiring vendors to provide a detailed breakdown of administrative costs on a claim-by-claim basis, which in many cases is infeasible, the regulation should require vendors to report their administrative charges in aggregate to an insurer, which the insurer should then be permitted to rely upon for purposes of MLR calculation. 7) HHS should clarify that state-based MLR standards are pre-empted by the new federal standards. The regulation should clarify that the ACA requires full federal pre-emption of state MLR methodologies. States are limited to modifying the percentage only. Otherwise, administration of two MLR methodologies would be infeasible and create unnecessary administrative costs. 8) Student health plans should not be subject to the federal MLR. Student health plans (SHPs) provide coverage for between 1.5 and 3 million students. Many of these students are 26 or older, foreign or cannot use their parent’s policies because of network restrictions. Access to affordable student policies is critical for students. Historically, student health plans have been considered short term limited duration policies and therefore should not be subject to the federal MLR. If HHS does apply an MLR, it should be a lower percentage to account for the higher volatility of this group and should be done on a total book of business basis – not state by state. 9) The playing field should be leveled between HMOs and Open Access Insurers: The MLR creates an unlevel playing field between HMOs and the more popular open access plans. To mitigate this problem, insurers should be allowed to include in their quality definition key functions such as fraud prevention, concurrent review and utilization management, and expenses incurred as a result of federal or state requests for data to improve quality and efficiency. 10) The regulation should permit national aggregation in the large group market. Requiring insurers to disaggregate their large group market into state MLRs, and to disaggregate MLRs to the legal entity level, would erode the normally vibrant competition, consumer value, and wide choice of products currently available to consumers in the nation’s large group markets. Specifically, such MLR disaggregation would hurt employers that offer multiple products or coverage across state lines, reduce choice of coverage, increase prices for groups, decrease competition, and increase administrative costs. Doug Gulleson loves to scuba dive overseas and makes sure he has his US health care and overseas health care, http://onlineglobalhealthinsurance.com/my-travel-guard.asp , information with him at all times when he travels Keep our blog close by you, www.gntravelinsurance.com, for continual updates on the changes with the US health care system.